What is our cruise wedding budget? Like weddings on land, the cost of wedding cruises run the gamut from affordable to break-the-bank. The good news is, even if you only have a small wedding budget, you can still pull off a reception and celebration at sea or in port. Keep in mind that you will have two major expenses: The cost of the cruise itself, and the cost of the wedding. Factors that affect the total price include the grade of cabin you choose, the number of guests at your wedding, shore excursions you take, and how many days the cruise lasts. And if you don't embark from a port that you can drive to, you'll also need to factor in the cost of a flight to reach it. When do we want to sail? As with reserving a space for a land wedding, you'll need to determine the optimal date for your cruise wedding. Even in winter, cruises leave from the east and west coasts, taking you from cold weather to balmy. Where do we want to sail? Although Caribbean cruises are very popular (and among the most affordable), cruise ships actually sail to all seven continents. If you're combining a cruise wedding and honeymoon (also known as a weddingmoon), consider visiting romantic ports in the Mediterranean. Use a source such as Expedia to search and price available cruises by destination. Do we want friends and family to sail with us, or simply to attend our ship wedding and then disembark? The couple (and/or their parents) is expected to bear the costs of the ceremony, reception, and their own passage. Guests who sail with them are expected to pay for their own cabins and transportation to and from the port. So it's up to you whether you want to spend your honeymoon with family and friends or wave good-bye to them from the ship's railing after you are wed.
Is planning a cruise wedding difficult? Actually, it's the easiest kind of destination wedding you can have. The cruise line company you select may have a dedicated wedding department and a variety of wedding packages for you to choose from. Or they will refer you to the company they deputize to organize their cruise weddings. What are some of the pluses and minuses for a cruise ship wedding? Cruise ships are well equipped to provide the basic necessities of a wedding. Many have wedding chapels. Ships' big kitchens can feed any number of people, their onboard musicians can provide live entertainment, and their photographers sail along on most cruises. But the big plus is affordability: Reception costs, per person, compare favorably to wedding venues in major cities. Another advantage is that you can sail away on your honeymoon immediately after the wedding. 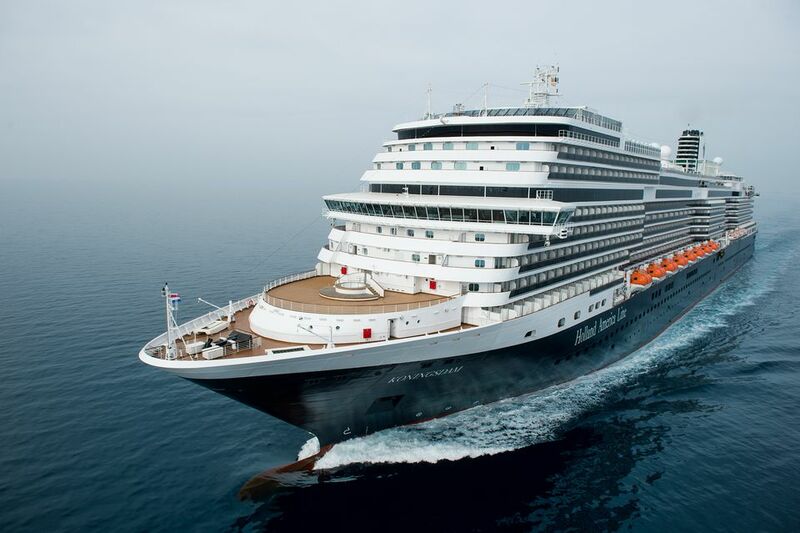 Some couples encourage friends and family to cruise along with them; others schedule the wedding when the ship is in port and wave bon voyage to guests afterward. On a few cruise lines you can you be married by the captain while the ship is at sea. On other lines, you will have to wed while the ship is in port and have an authorized officiant. Depending on whether a couple is outgoing or not, they may not like being assigned to a large table and dining with strangers. Now that several cruise lines are more flexible about dining times and seating, that's less of a problem - and no problem at all, if you bring your guests along on the cruise! What are some unique options for a cruise wedding? Several cruise lines that sail the Caribbean have a private island, and these are nice, casual places to have a beach wedding. Some even have a chapel. Royal Caribbean Cruise Lines can be customize events to offer couples everything from a wetsuit wedding beside the Flowrider on their latest ships to a wedding atop an Alaskan glacier, where the couple is transported to via helicopter. The more elaborate the event and further from the ship, the more expensive it will be. How much time does it take to plan a cruise destination wedding? To make sure you get the cruise and cabin you want, start planning as far in advance as possible. But procrastinators can often be accommodated. Any other suggestions for cruise weddings? You can cruise and get married without having a cruise wedding. If your ship calls at Montego Bay, Jamaica, for example, you can get married at Half Moon Resort. ​ It has an affordable destination wedding package that picks you up at the port and whisks you to the resort. It provides a marriage officer, photographer and videographer, champagne, hors d'oeuvres for ten people, a wedding cake, and they deposit you back at the ship in time to board. And if you're traveling just by yourselves, it'll even provide two witnesses. Be sure to check with the resort to make sure this package is available when you want to marry.